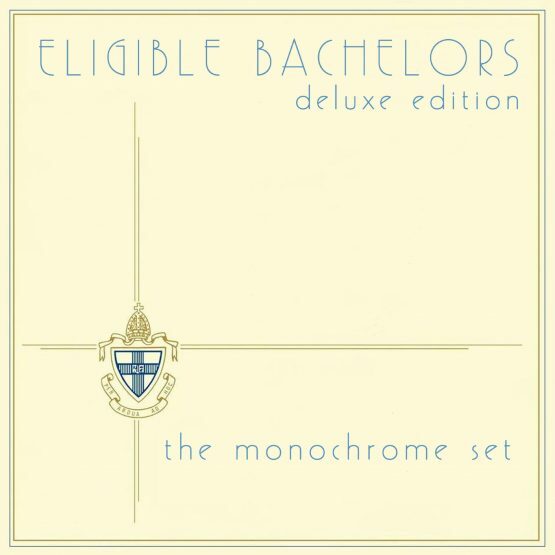 LONDON POST-PUNK BAND THE MONOCHROME SET’S THIRD ALBUM “ELIGIBLE BACHELORS” RE- ISSUED, COMPLETE WITH A HUGE AMOUNT OF BONUS TRACKS AND ADDITIONAL HARD TO FIND MATERIAL. 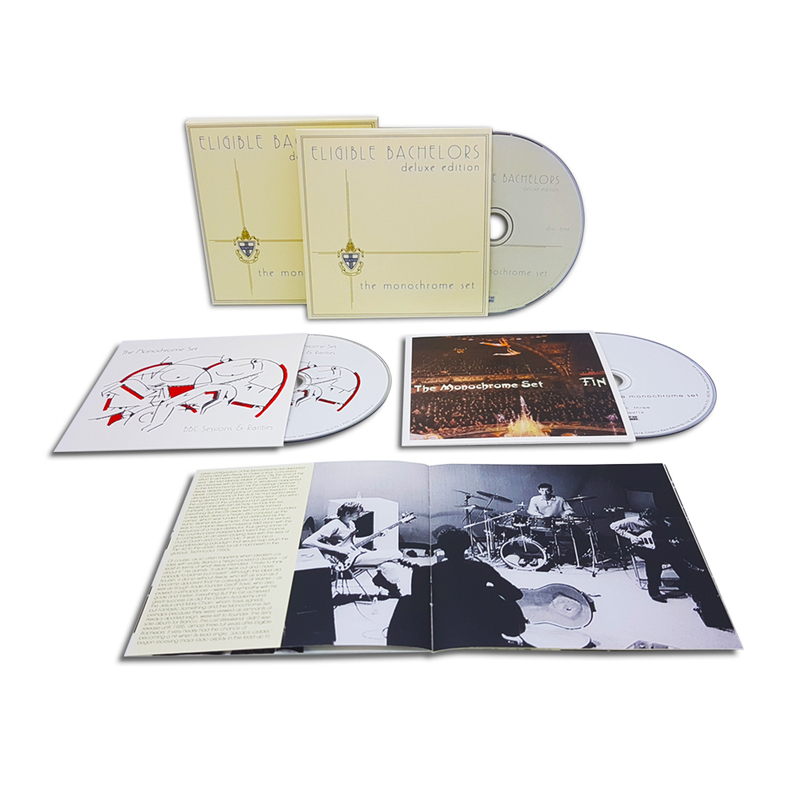 CONTAINS THE ORIGINAL “ELIGIBLE BACHELORS” ALBUM, THE LIVE ALBUM “FIN” (AKA THE GOOD LIFE), SINGLES AND B-SIDES, RARITIES AND BBC SESSIONS, PLUS A NUMBER OF LEAD SINGER AND SONGWRITER BID’S SOLO TRACKS. 3CDs PACKED WITH SOME OF THE MONOCHROME SET’S FINEST MUSIC. ALL MATERIAL DIGITALLY REMASTERED FOR THIS NEW RE-ISSUE. The Monochrome Set were widely recognised as one of the best post-punk bands of the late ‘70s and ‘80s, with the album “Eligible Bachelors” regarded as one of their finest pieces of work. AllMusic named it as “one of the classic undiscovered albums of the early ‘80s. Eligible Bachelors is a tour de force of wit and musical imagination” as well as “an age-defining record”, with Trouser Press praising the band for their “witty intelligence” and declaring that ‘Eligible Bachelors’ “strips the music down to essential elements”. Cherry Red have paid “Eligible Bachelors” the respect it deserves by carefully packaging the album alongside The Monochrome Set’s fine live album “Fin” (AKA The Good Life), and a whole host of singles, B-sides and rarities, including many hard to find BBC sessions of the band in their absolute prime. All this has been remastered and beautifully packaged for the album’s re-issue, and is something sure to please long-term Monochrome Set fans and brand-new followers alike.